The Afghan economy has gone through much over the years of war and conflict. The value of the Afghan currency— Afghani—has constantly fluctuated through the years of the internal wars in Afghanistan. End of a long war, development and infrastructure growth has attributed to a much stronger economy and as a result a currency of higher value as compared to neighboring countries. However, even today, the Afghans witness a steady fall in the value of our currency and it remains unstable. Said Hakim, from Kabul, realises this as he collects old Afghan currencies. 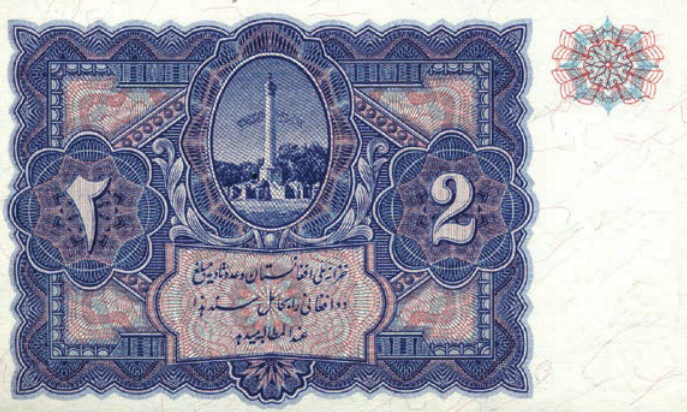 However, it was until much later, when an aunt gifted him his first vintage Afghani banknote ever, that he was drawn towards the economic history of his own country. 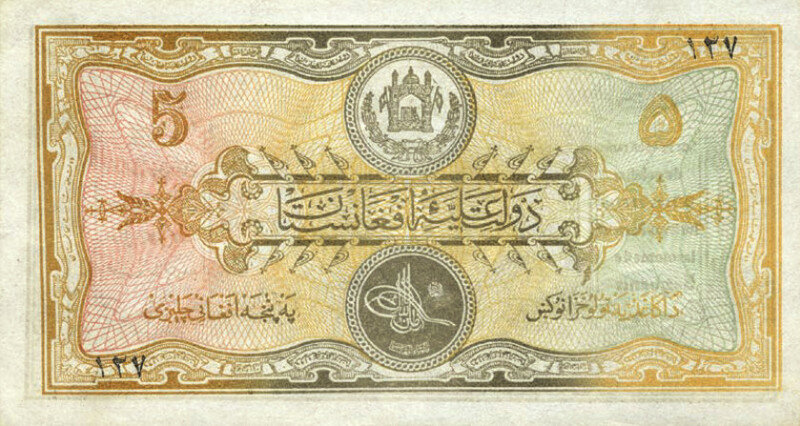 “The 5 Afghani note was from during the reign of Amanullah Khan in 1926. 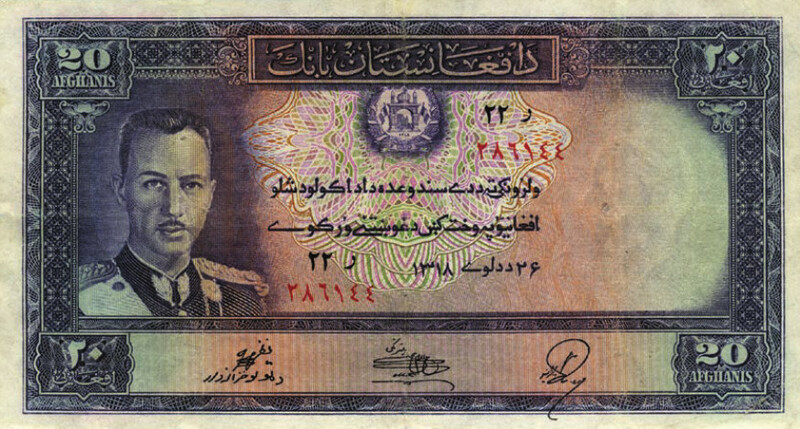 Since then I have been trying to complete my collection of old Afghanis, a difficult task because some of the banknotes are exceptionally rare,” he shares. It isn’t uncommon to use foreign currency for daily transactions in Afghanistan. In fact, depending on the province and borders it shares, a variety of international currencies—from Pakistani Rupees to Iranian Tuman, and even the dollar are accepted. Having been a keeper of the Afghan heritage, Hakim disapproves of this. “We should take pride in our national currency. Whenever I am in Afghanistan, I only Afghani in my pocket,” he advises. “Unfortunately, we don’t posses a strong national identity and people don’t feel that the Afghani can be a source of pride and value. And this despite the relative stability of our currency compared to others over the last 13 years,” he says. “There is so much people don’t know about our own currency,” he says in dismay. “I often see people using ‘Af’ or ‘Afs’ when writing about our currency. In shops and on restaurant menus, you can see this form of writing. However, officially, there is no special sign for the Afghani, although the unofficial ؋ sign is popular,” he informs. “The real currency code for our beloved Afghani however is AFN since 2002 and AFA for the money issued before then. It stands for the Pashto expression Afghanistan Nəwaya Afghanəy and Afghanistan Afghanəy respectively,” he adds. The poor quality of paper the Afghan currency is printed on is one of main problems, according to Hakim. “The government should use higher quality paper so that banknotes last longer than they do,” he advises. “Before (and for a short period after the deposition of Amanullah Khan) the Afghan rupee was used, which still bore four languages – Dari, Pashto, Urdu and Uzbek,” he adds. “A currency that is perhaps remembered well by our slightly older generation is the colourful notes issues by Mohammad Zahir Shah in 1961. The 100 Afghani note is remembered by everyone to be red. “I own about 80% of all banknotes issued before 2002 with only the rarest still missing, such as the 20 Afghani “Khalq” note from 1978 that was never issued and the 1000 Afghani banknote from 1939, the rarest banknote of them all,” Hakim shares with much pride.